Even with the best will in the world, no one can reach peak health and fitness with exercise alone. What we put into our bodies is just as important as what we do with them, and trainers around the world increasingly learning how to integrate nutrition with exercise programs. Here at Fighting Fit PT, we specialise in nutritional advice and training supplements that enhance your workouts and help you train more effectively. Whether you want to lose weight or gain muscle mass, nutrition plays a crucial role in how your body functions, as well as in how you see yourself. 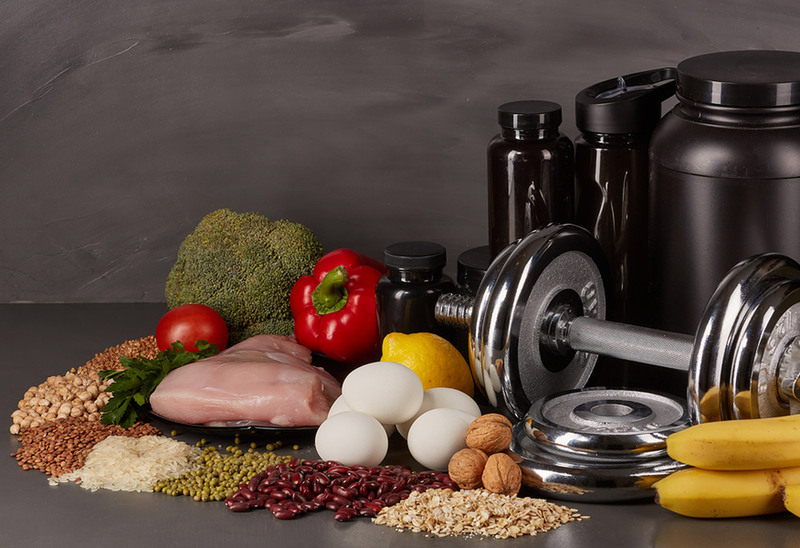 Sports nutrition is a large and diverse field that’s concerned with how food affects athletic performance. Professional sporting programs already have a strong nutritional focus, with nutrition coaching increasingly accessible to amateur athletes and fitness enthusiasts across the world. What you eat has a huge effect on your weight and overall health, not to mention your physical performance and ability to recover from injuries. A number of everyday foods are loved by the fitness community, including eggs and lean meats for protein, and fruits and vegetables for their antioxidant content. Each of these is key to high quality, high performance diet. Here at Fighting Fit PT, our nutrition coach experts work with you to provide dietary advice and guidance as you strive to meet your fitness goals. We understand that each client is different, and so we offer tailored advice based on your physiology, lifestyle, and personal goals. Healthy eating is not just about superfoods and supplements, it’s also about setting up sustainable cooking and eating habits that work with your training program. Nutrient-dense foods need to become a regular part of your daily routine, from foods rich in protein through to essential fats and healthy carbs. When it comes to the relationship between nutrition and exercise, timing is critical. Our experienced trainers can help you eat the right things at the right times to enhance your weight loss efforts and maximise your performance gains. Clever eating habits can also help you to energise your workouts, which in turn will help you to workout more often. For example, low-fat meals that have moderate levels of protein and carbs can be beneficial before exercise, while foods like bread and cereal also help to provide short-term energy to your cells. Eating protein after you workout can also be beneficial, with foods such as eggs and meats helping your muscles to recover and grow. Nutrition is also important for weight loss, with our fat loss programs helping to bring out the best in you. Here at Fighting Fit PT, we offer a wide range of advanced sports nutrition supplements. While there is no real alternative to a healthy balanced diet, supplements allow you to look after your nutrition with a laser-like focus. Rather than spending all of your time sourcing ingredients and cooking your meals, supplements can be used to complement your food intake and make your life easier to manage. For example, protein powder is often used by people who lift weights as an alternative to rich and heavy meat meals. If you’re looking for a trainer who is also a nutrition coach, our qualified team understand the intricate relationship that exists between exercise and nutrition. Want to learn more or to get started with our team? Get in touch today. Interested in working at Fighting Fit PT?